The New Orleans Saints hit the road this weekend for the first of two away from the Mercedes-Benz Stadium as they take on the Ravens at the M & T Bank Stadium in Baltimore. New Orleans leads the NFC South Division, a game ahead of the Carolina Panthers with the Tampa Bay Buccaneers and the Atlanta Falcons each struggling in the early going. Losers to the Buccaneers in the season opener the Saints have since defeated the Cleveland Browns, the Falcons, the New York Giants and the Washington Redskins last time out before taking their bye week. Quarterback Drew Brees was 26-of-29 for 363 yards and three touchdowns in the 43-19 thrashing of the Redskins and also passed Peyton Manning as the all-time leader in passing yards in the NFL. Mark Ingram led the way on the ground with 53 yards on 16 carries, but the overall total of 98 yards on 32 carries, even with three touchdowns, was disappointing for the New Orleans offense and something that needs to improve if the Saints are to be relevant this season. The Panthers had the opportunity to join New Orleans with a 4-1 mark, but unlike the Saints could not get the better of the Redskins as they fell 23-17 in Washington on Sunday. A lack of a running game did in Carolina as quarterback Cam Newton ended up the top rusher on the Panthers with 43 yards on the day. Carolina continues on the road this week as they take on the defending Super Bowl champion Eagles in Philadelphia. 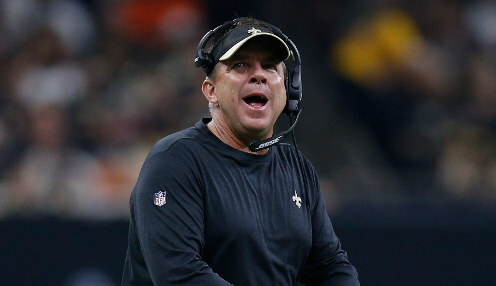 New Orleans are 1.001 to win the NFC South, with Carolina 51.00.